Inspiring the Capital on to its feet yet again, Procam International today opened up registrations for Delhi’s most awaited sporting event, the Airtel Delhi Half Marathon. This year, expectations are higher and come Sunday, November 20, 2016, Delhi will stand in unison to support an event that has paved the way for road running, philanthropy, health and fitness in India. Registrations were announced at a press conference held at the Le Méridien, the event’s hospitality partner in the presence of Dhruv Bhagat, CEO – Delhi/NCR, Bharti Airtel; Meena Bhatia - VP Sales and Marketing, Le Méridien New Delhi; Vinita Bhatia - AVP, National Head, Media Entertainment & Sport, Times Group; Nitin Singh - Station Head, Radio Mirchi Delhi; Tamorish Kole – Medical Director ADHM & Principal Consultant & Head, Department of Emergency medicine, Max Healthcare; Murray Culshaw, Chairman, India Cares; Anil Singh -MD, Procam International, along with Olympians Gopi T, Kheta Ram and coach Surendra Singh. The total prize money for ADHM 2016, which includes the Great Delhi Run (6 km), the Senior Citizen's Run (4 km), and the Champions with Disability (4 km), in addition to the feature race, will be USD 2,70,000. It’s a matter of great pride for ORSL brand to be associated as the Restoration partner of ADHM. It’s a fantastic sports platform which aims not only to shape the running community in India but also attempts to build the right awareness for the prevalent social challenges, something we at Johnson & Johnson feel deeply about, said, Dinar Mhatre, General Manager OTC - New Business. 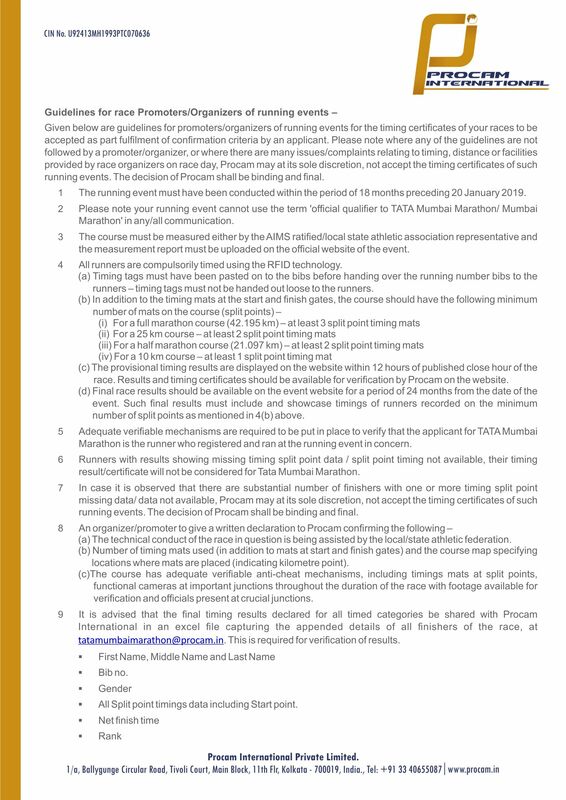 Compulsory timed race: Continuing in its constant endeavour to evolve and owing to the increase in the number of serious participants each year, henceforth the event will only accept applications from runners who have attached a valid timing certificate of their run from the previous 24 months. Applicants who do not fall within the timed runner criteria can avail of the running places that have been allotted to the NGOs registered with India Cares, the event’s Philanthropy Partner. These running places will be available with the respective NGOs from 30th August - 07th October or as soon as running places are filled, whichever is earlier. In addition to this, the event will offer priority starts to participants based on their timing certificate. •POST filled entry form and requisite entry fee to P.O. Box No. 3634, Lajpat Nagar, New Delhi – 110 024. •For further details contact the event helpline number +91 96500 33333, which will be open from 10 am to 7 pm, Monday to Saturday. Toll-free for Airtel subscribers and chargeable as per standard call rates for non-Airtel subscribers.